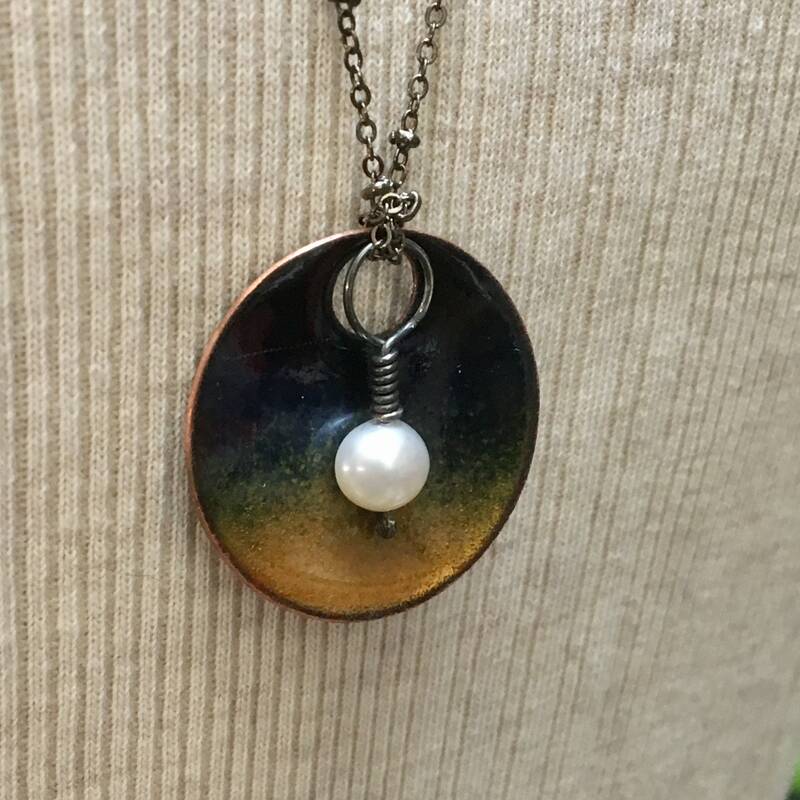 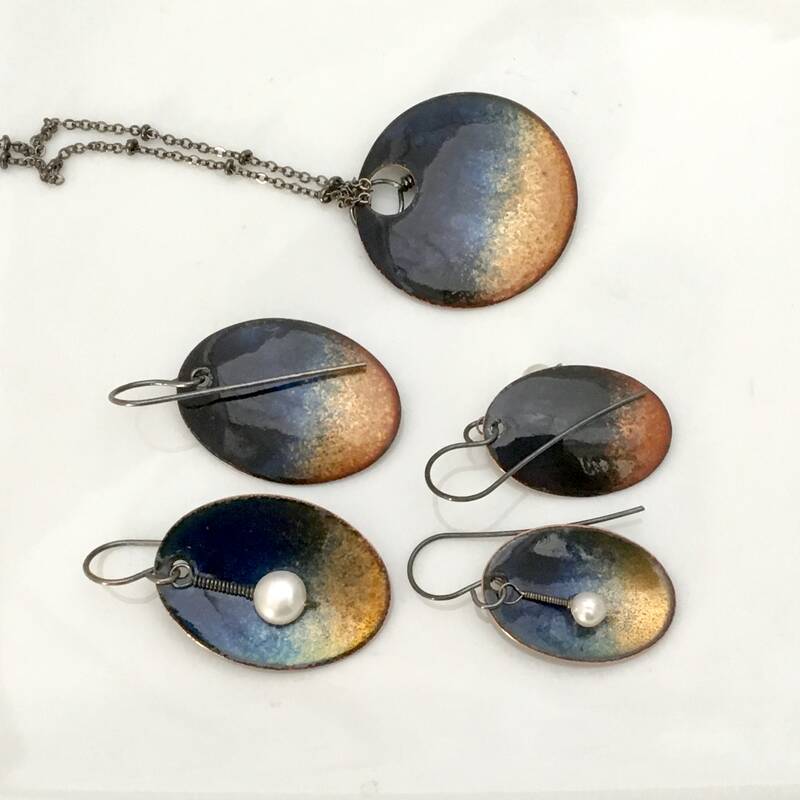 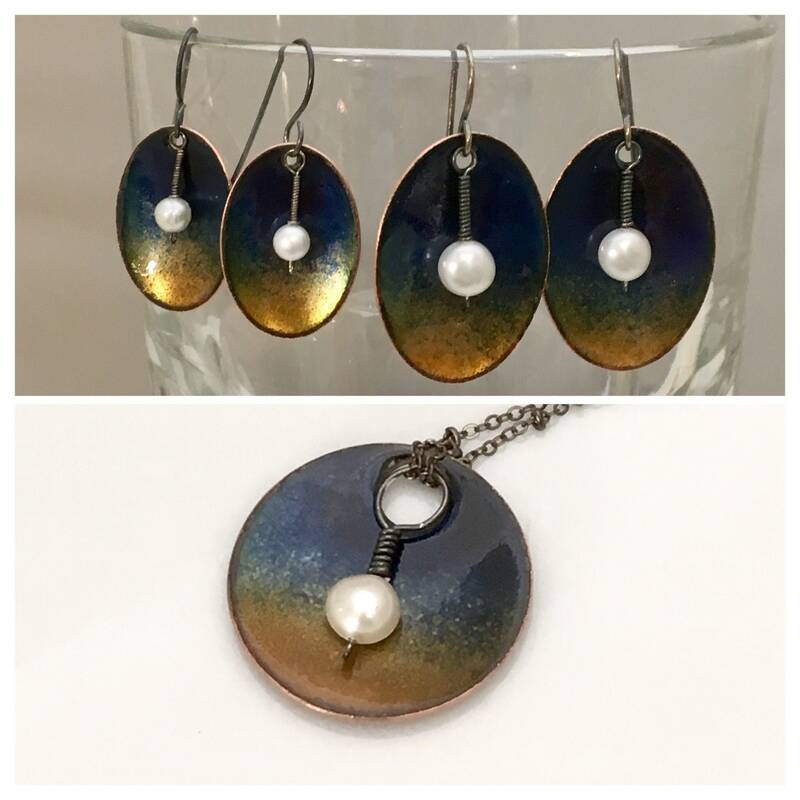 A full moon rising at twilight inspired this “Twilight Moonrise” Series that features deep blue enamel on copper shapes and white freshwater pearls. 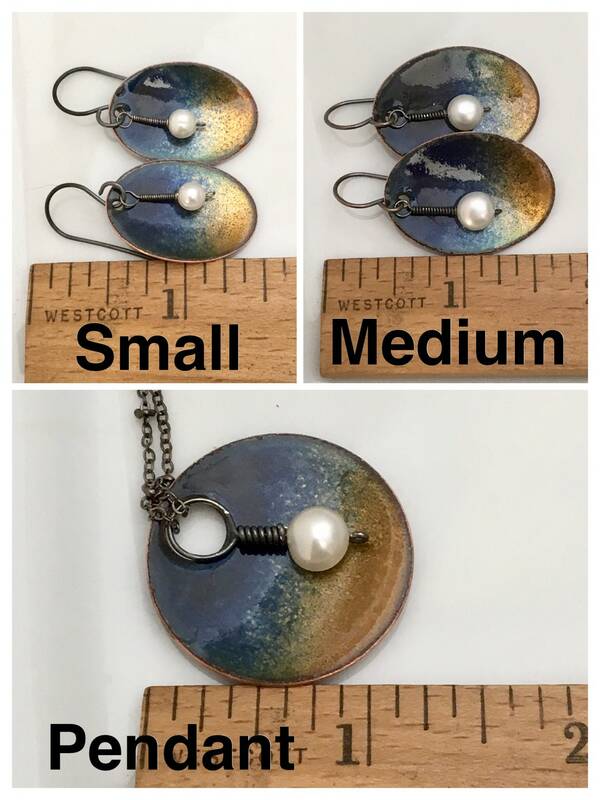 Two sizes of dangle earrings and a bold round pendant are available in this new addition to my series, to wear alone or to mix & match. 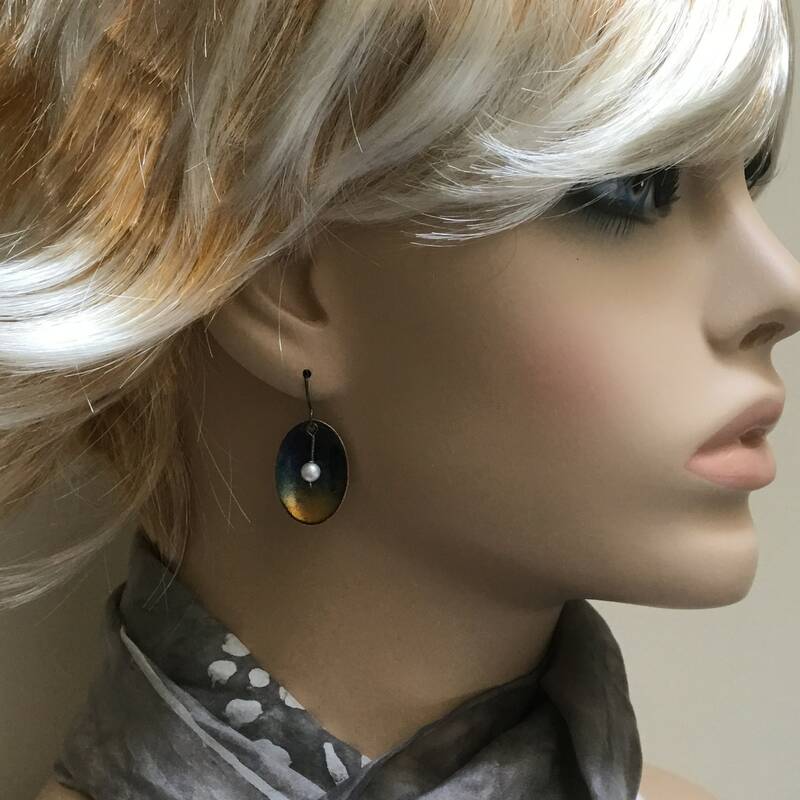 The earrings dangle from oxidized sterling silver hand formed earwires. 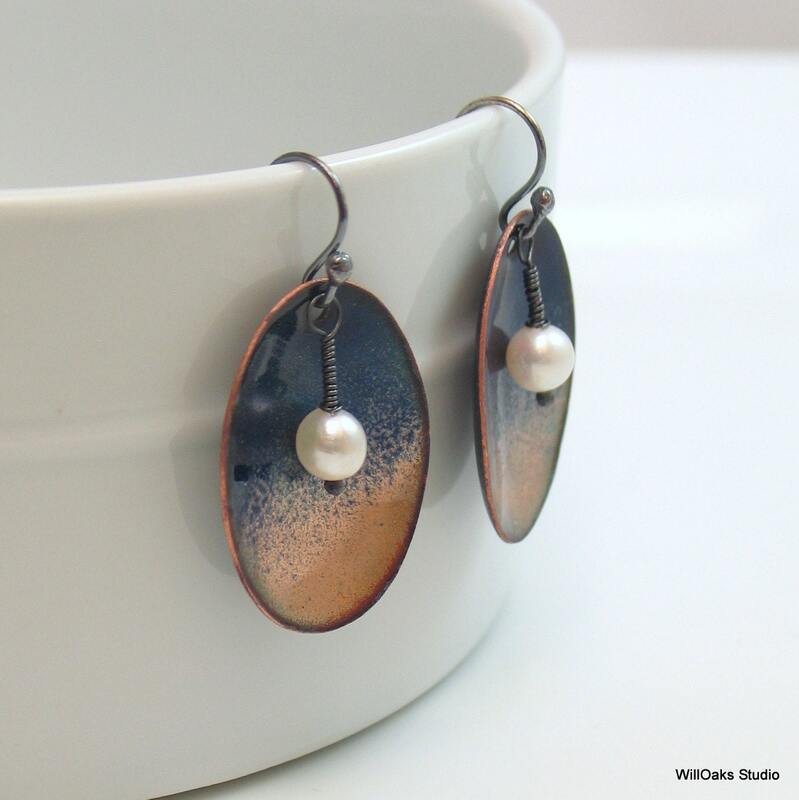 Oxidized sterling silver wire wraps each pearl to dangle freely. 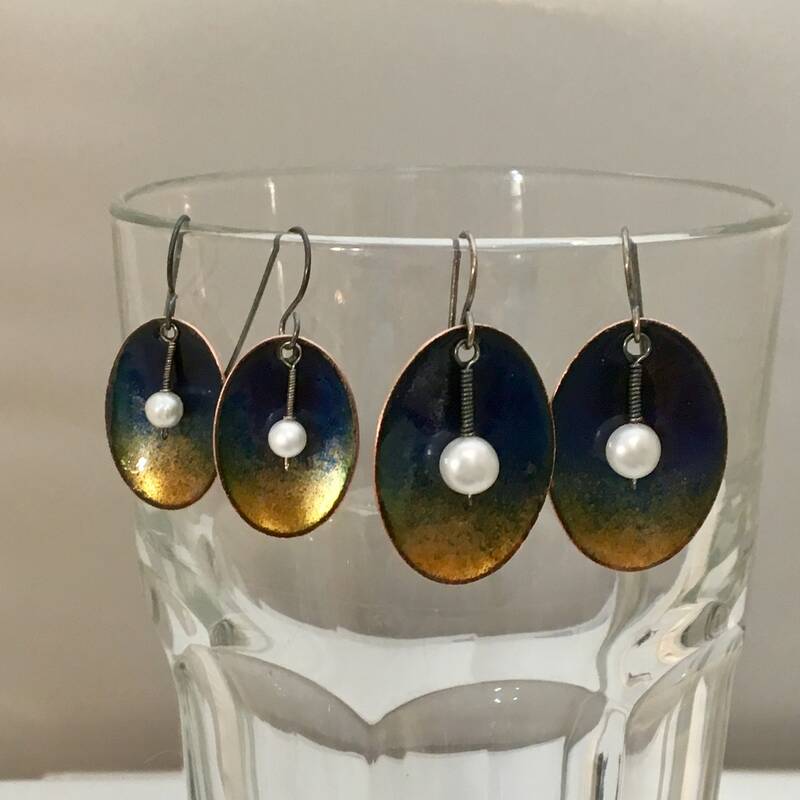 Color and glossy surfaces are glass bonded to copper through multiple firings to between 1450 and 1500 degrees F. The front & back of each component feature my transparent dark blue & gold gradient. 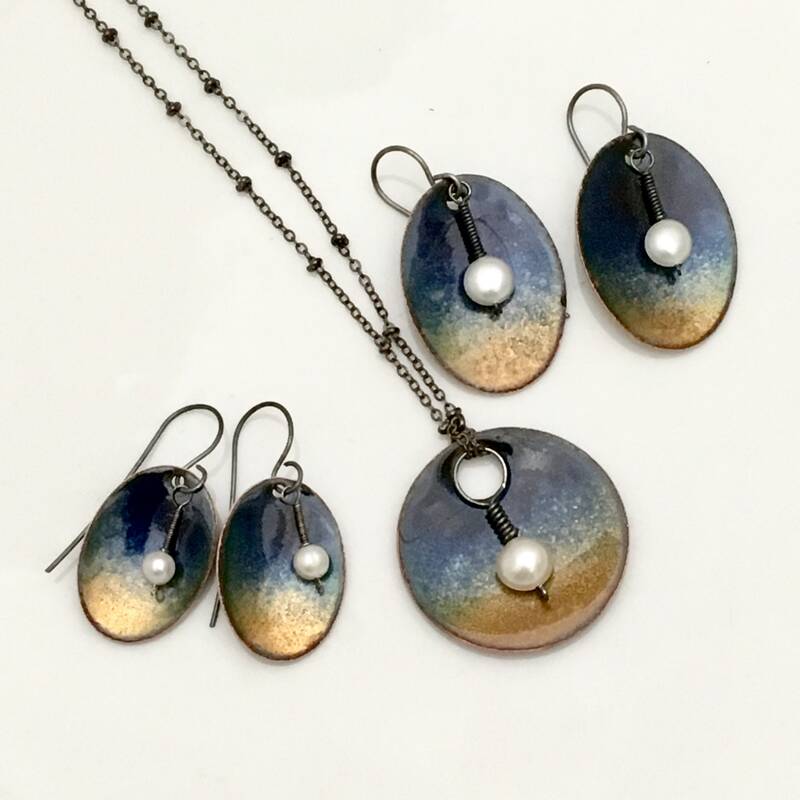 My design is meant to evoke that magical time at twilight when the light is fading and the dark is falling--creating a backdrop for a glowing full moon. 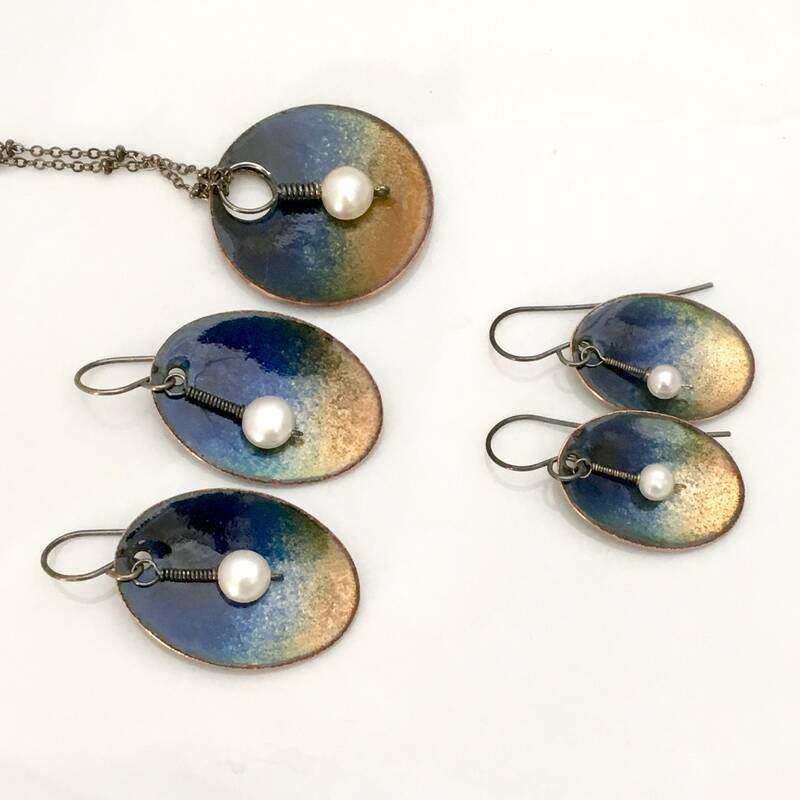 They are my original design, handmade one by one with subtle natural variations, but each is very similar.